The Martial Arts have always been a source of some confusion. Many view them skeptically and consider their methods outdated or hokey. The Martial Arts can be a great way to get in shape, better oneself and learn self-defense. However to do this one has to pick the right art, school and instructors. Many schools promise unrealistic self-defense prowess and crazy new discipline. These unrealistic claims often come with a hefty monthly bill and an aloof Sensei with delusions of grandeur. Salt Point Martial Arts is not that kind of school. Salt Point Martial Arts offers classes in Brazilian Jiu-Jitsu, Judo, Muay Thai, Boxing, Wrestling and Mixed Martial Arts. The classes are not taught by hacks who have never tested themselves, they are taught by instructors who have been training, competing and teaching the art for years. The instructors are in many cases still students themselves. Many of them still seek out instruction from some of the greatest martial artists in their field. Salt Point Martial Arts students benefit directly from this constant quest for perfection. Self-defense is always something that gets attention at Salt Point Martial Arts. Salt Point Martial Arts teaches you how to defend yourself in a realistic, and also safe, manner. Some schools have you standing alone throwing punches and kicks at nothing. 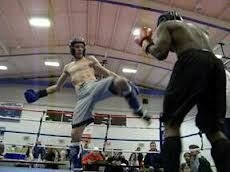 You will learn not just how to punch and kick but also how to defend punches and kicks at Salt Point Martial Arts. No unrealistic techniques or moves that only work on people who are smaller and weaker than you are taught, only moves that work against resisting opponents who are of a similar size or larger. Salt Point Martial Arts understands the real promise of martial arts. It is not to help the strong stay strong, they need no aiding there, it is to empower the weaker combatant. Come in to Salt Point Martial Arts today and try our FREE 30 day trial and private lesson. Give us a call at 845-392-8495, email us at precisionmma@gmail.com or go to www.poughkeepsiemixedmartialarts.com. Martial Arts are an integral part of a healthy life style. They’re important whether you’re looking to learn self-defense, build confidence, or just live a healthy lifestyle. At Precision Mixed Martial Arts, you’re able to learn several different martial arts under experts in the field. In fact, Precision MMA is home to the only MMA champion in the Hudson Valley – BJJ black belt Brian McLaughlin. For self-defense, Precision MMA teaches martial arts techniques that are proven and tested in real martial arts fights. Head coach Brian McLaughlin has worked with UFC fighters like Jim Miller, Dan Miller, and Charlie Brenneman. His techniques are sought after by top fighters around the country. Precision MMA is also great for helping build confidence in ones self. The atmosphere at the gym makes it easy to make friends, whether you’re an established martial artist or just a beginners. There are fundamentals classes almost every day, which means that beginners will always have something to do and will always be learning something. The martial arts are a powerful tool for self-improvement. They can be a way to transform your life and alter things about yourself that you find lacking. A better version of you is accessible through the martial arts. The exciting vistas this experience can open to you are not something to be missed. Hyde Park Martial Arts can be the setting and spark for your personal growth. Hyde Park Martial Arts is open seven days a week and has a large and spacious location. The facility is second to none and is cleaned and maintained with the utmost attention. Hyde Park Martial Arts is the best dojo for beginners or more experienced martial artists. Hyde Park Martial Arts will fit into any schedule and can accommodate the needs of any kind of student. Hyde Park Martial Arts has highly qualified instructors that will get you on the path to martial arts prowess. They have trained many students to high levels and know where the potential pitfalls are and how to avoid them. The instructors at Hyde Park Martial Arts are not former students, they are also actively pursuing martial arts training both in the school and at other academies. Their students are the primary beneficiaries of this thirst for knowledge. New techniques and approaches are always being incorporated into the already amazing curriculum available at Hyde Park Martial Arts. The training partners and fellow students at Hyde Park Martial Arts are some of the coolest people you will ever have the pleasure of meeting. They are always a accommodating and helpful. Some of my closest friends are people I met at Hyde Park Martial Arts. The only thing that is missing from Hyde Park Martial Arts is you. We offer a FREE 30 day trial and private lesson. Give Hyde Park Martial Arts a call at 845-392-8495, email us at precisionmma@gmail.com or go to www.poughkeepsiemixedmartialarts.com. Obesity in America has been called an epidemic by many. Often times the habits and behaviors of adults are the habits and behaviors their children will adopt. Obesity has become a problem for many families because a parent or both has not practiced healthy habits in either their diet or exercise routine. Poughkeepsie Family Martial Arts is a great place to change this lifestyle. Poughkeepsei Family Martial Arts provides an opportunity to change these bad habits in the adult and let them become a the role model their child needs. Poughkeepsie Family Martial Arts offers classes to both children and adults. Poughkeepsie Family Martial Arts is open seven days a week and it’s schedule is built with the needs of families in mind. The consistency with which you can attend classes is very important, it leaves no excuse to not train. Time, as simple as it may seem, is one of the most important ways to express yourself and your views. Time spent at a gym or going to a gym shows the kind of importance with which an individuals views fitness. If you spend more time idling at a fast food drive thru window then you do at a gym your child will notice, even if it is not on a conscious level. They will begin to have priorities that will be nearly identical to your own. These priorities need to be rearranged. Poughkeepsie Family Martial Arts can become a way to convey to your child how important physical fitness and overall health is. 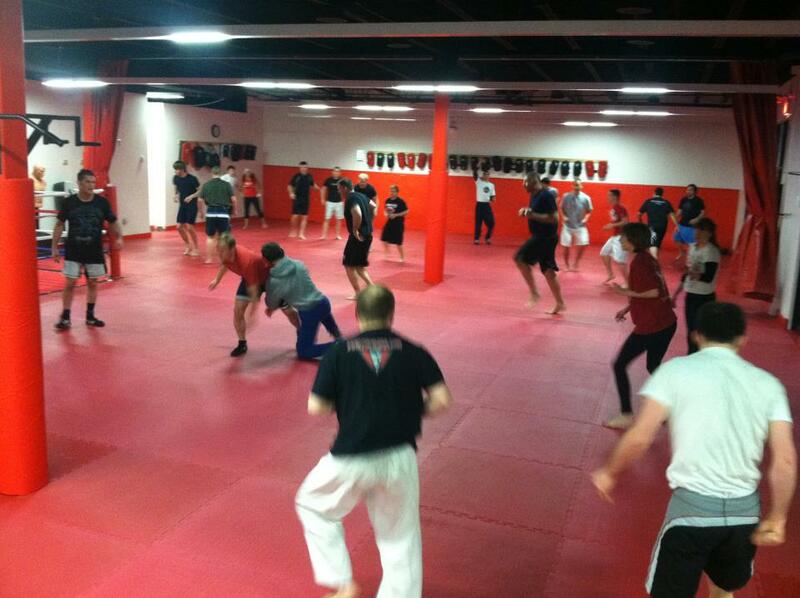 Poughkeepsie Family Martial Arts offers classes that are not like your typical gym experience. The classes are interesting and challenge you in ways that keep it interesting and in some sense evoke a kind of playfulness and sense of wonder that isn’t easy to find. The classes at Poughkeepsie Family Martial Arts are intellectually stimulating as well. They provide you with the opportunity to learn real self-defense techniques and potentially the chance to compete. These other goals complement overall fitness goals and can be a real boost when the more exercise oriented parts become draining. I have personally never been able to lose weight, and perhaps more importantly keep it off, without Poughkeepsie Family Martial Arts. The type of service provided by Poughkeepsie Family Martial Arts is second to none and is what you need to get on the track to healthy living. Come in and try our FREE 30 day trial and private lesson. 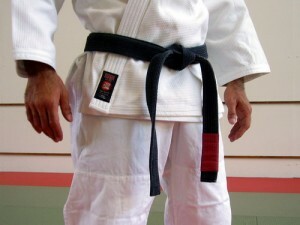 Give us a call at 845-392-8495, email us at precisionmma@gmail.com or go to www.lagrangemartialarts.com. 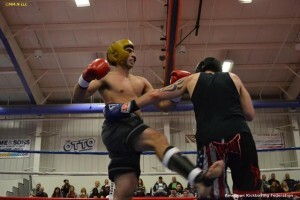 This past Saturday two of Precision MMA students were victorious in their Muay Thai Fighting debuts. While neither of the fighters were able to finish their fights, they performed well against some real tough opponents. These fights were held at the Danbury Police Athletic League. Jenny Vitetta and Ed David put on a show in front of a packed crowd. They both got their hand raised at the end of the night and walked out of the ring with the satisfaction that can only come from winning on such a big stage. Ed David has been training for many years in Boxing, Muay Thai and Brazilian Jiu-Jitsu. Ed has been in a few boxing bouts before, but this was his Muay Thai debut and he has been putting in a ton of work to prepare. The coaches at Precision MMA have been working with him one-on-one for weeks to help him get in the best shape and be as focused as possible for his fight. The preparation was well worth it and Ed got the decision victory over a tough and game opponent. Jenny Vitetta made her fighting debut with a great bout that had the crowd on their feet. 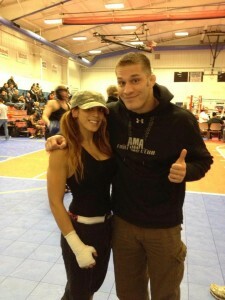 Jenny had a tough opponent as well and the fight was a real barn burner. At the end of it she got the victory and it is in no small part due to the hard work she has been putting in at Precision. Jenny has been taking Muay Thai and boxing classes for years now. Jenny is also the head instructor of our Women’s Fitness program and has been looking forward to this fight for some time. If the idea of fighting in the ring sounds cool to you then come in to Precision today and get a FREE 30 day trial and private lesson. Give us a call at 845-392-8495, email us at precisionmma@gmail.com or got to poughkeepsiemixedmartialarts.com. Pleasant Valley Women’s Fitness is one of the most unique and fun workouts available. Pleasant Valley Women’s Fitness is a great way to not only get in shape, but to also stay in shape. So many workout routines are great for a short time and then get stale and boring. This will never happen at Pleasant Valley Women’s Fitnessas we offer a fast paced and exciting class that will keep you coming back for more. Pleasant Valley Women’s Fitness has one of the best programs in the area. Our instructor Jenny Vitetta is a qualified personal trainer and knows women’s fitness in and out. She has spent years in the industry and knows how to get women motivated to stay in shape. She has trained in the martial arts which are a large part of the instruction offered. The classes are designed for not only fitness but for self-defense as well. The classes are fun and fasted paced and only allow women. You can come and have a great workout without the pressure of a usual gym experience. Many of the pitfalls of a more traditional gym experience are just not going to happen in this setting. You will be motivated by the results that will come with consistent attendance and effort. Come in today and a try out our women’s fitness class. Give us a call at 845-392-8495, email us at precisionmma@gmail.com or go to www.poughkeepsiefitness.com. Precision MMA Lagrange, New Yorkis the areas premier Mixed martial arts gym. If you are looking for a place to launch a MMA career Precision MMA is the place to go. If you want to focus in one area or discipline Precision MMA offers many different classes all taught by qualified instructors. Precision MMA has a top of the line facility that includes a full sized boxing ring and tons of mat space. With this combination of top notch instructors and high quality will have you achieving your martial arts goals in short order. The instructors at Precision MMA, Lagrange New York are all knowledgeable and care deeply about your success as a student and person. All of our instructors are trained in their arts and have been competing in and teaching their arts for years. In addition to this they all have been through the rigors of being a student. The instructors understand the needs of a students and many of them are still students and seek out further instruction from some of the best in the world. Precision MMA offers classes in MMA, Muay Thai, Boxing, Brazilian Jiu-Jitsu, Judo and wrestling. Precision MMA also offers a women’s only boot camp class. At Precision MMA we also have classes for children. Classes are held seven days a week and can fit into almost any schedule. Precision MMA Lagrange, New York has a great facility that has all the necessary tools to help you succeed. Precision MMA has lots of mat space. I have seen twenty or so pairs of people grapple or hit pads together and n0t have any problems. Precision MMA also has a boxing ring which is useful because most amateur and lower level professional bouts are in a ring and you will already be at home in one if you ever decide to compete. At Precision we also place a high degree of importance on hygiene the mats are always clean and we never slack on providing a safe and clean learning environment. 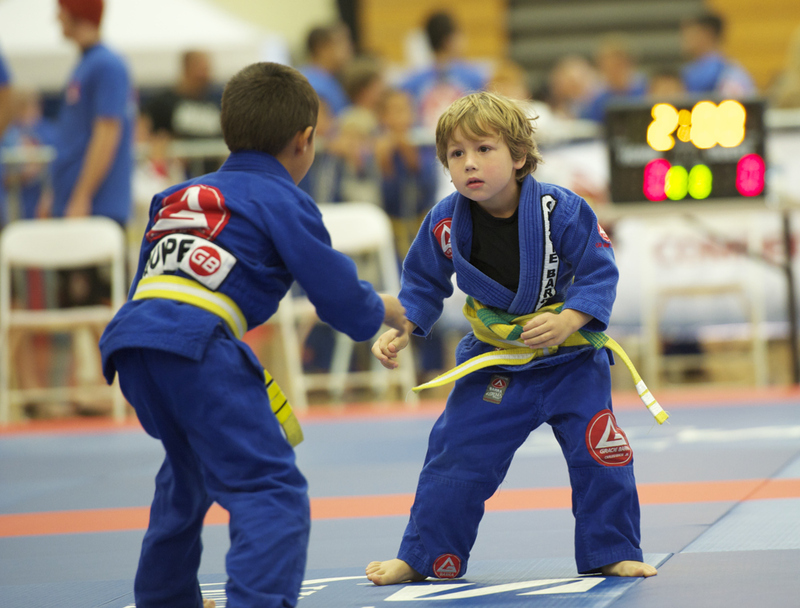 Lagrange Martial Arts for Children is a program designed specifically with your child’s needs in mind. Lagrange Martial Arts for Children can help develop important life skills while teaching self-defense techniques. Lagrange Martial Arts For Children has instructors who strive to give your child the most valuable martial arts experience they can. Our schedule is made with the needs of a school age child in mind and will never interfere with important things like homework and studying. Lagrange Martial Arts for Childrenis the perfect complement to the skills that a child learns in school. Lagrange Martial Arts for Children has created a program that teaches martial arts. Our instructors are qualified in Brazilian Jiu-Jitsu. Brazilian Jiu-Jitsu is a martial art centered on patience, timing and the proper application of leverage and techniques. The qualities that make Brazilian Jiu-Jitsu different from other martial arts is it supreme dominance in self-defense scenarios, the application that the lessons it teaches you in other areas of your life and the camaraderie that in engenders with your fellow training partners. Give Lagrange Martial Arts for Children a call at 845-392-8495, email us at precisionmma@gmail.com or go to lagrangemartialarts.com. Ask about our FREE 30 day trial and private lesson. Lagrange Brazilian Jiu-Jitsu is a place that can teach you great martial arts techniques for practical self-defense. Lagrange Brazilian Jiu-Jitsu is a martial art based on the idea that attribute based advantages can be nullified be the proper application of leverage and technique. So a smaller or weaker person can win a fight against a stronger and bigger opponent. The exciting possibilities of this martial make it one of the most sought after classes. The dominance of Brazilian Jiu-Jitsu in Mixed Martial Arts has also lead to a surge of interest. Due in large part to this explosion of interest many schools have popped up claiming to be Brazilian Jiu-Jitsu schools. At Lagrange Brazilian Jiu-Jitsu we offer quality instruction that has been tested in many levels of competition and they have acquitted tthemselves time and again. Lagrange Brazilian Jiu-Jitsu is a school that focuses on the roots of BJJ. The self-defense applications of Brazilian Jiu-Jitsu are stressed in every class. The sport aspects are also taught, but ultimately they take a back seat to self-defense. Brazilian Jiu-jitsu is at its core a martial art that is for self-defense. It was created so that a small person can do more that just be a punching bag for a big person. The techniques of Lagrange Brazilian Jiu-Jitsu will teach you how to beat any opponent regardless of size. The head instructor at Lagrange Brazilian Jiu-Jitsu, Brian Mclaughlin, is a Black Belt and has tested himself both in high level grappling competition and Mixed Martial Arts. Brian trains with many high level fighters and also brings in many instructors for seminars and lessons. Brian goes out to get some of the best training partners and his students are ultimately the beneficiaries of his travels. Many of these high level training partners who are professional fighters seek out Brian for instruction in Mixed Martial Arts and Brazilian Jiu-Jitsu. Come in to Lagrange Brazilian Jiu-Jitsu and try our FREE 30 day trial and private lesson. Give us a call at 845-392-8495, email us precisionmma@gmail.com or go to bjjfighter.com. At Precision MMA kids training is never stale or boring. Our kids learn the most cutting edge techniques in the sport of mixed martial arts on a regular basis. In this video, Precision MMA student 10 year old Richard works with Poughkeepsie’s AKBF Muay Thai champion Karl Nemeth. Richard is working on muay thai front and round kicks as well as a fake kick into a flying, or “Superman” punch. This is the same technique utilized by George St. Pierre in his UFC title fights. Precision MMA is the only Poughkeepsie kids martial arts school that teaches these sophisticated techniques. At Precision MMA we think its important to give kids realistic techniques that have been tested and proven at the highest levels. You will know that your child can defend himself against in any situation and that he is developing the athleticism and training of a professional level athlete. Above all though – we keep the training fun!